Everywhere she went, everything she did as a University of Washington Bothell student, Cecilee Fernandez learned more about herself, who she is and what she wants to do. Fernandez worked as a study abroad peer adviser in the Student Success Center and went to Oaxaca, Mexico, last year to observe political and social structures. At the time, teachers were protesting in this mostly poor and undeveloped state in southern Mexico. Fernandez also conducted research with Charlie Collins, an assistant professor in the School of Interdisciplinary Arts & Sciences, to study racial and social injustice with local community organizers. Now in a leadership role herself, Fernandez is vice president of S.A.V.E. (Sexual Assault and Violence Education), the student organization that this winter won a grant of up to $5,000 from T-Mobile to develop information and victim support programs. Having earned her degree in community psychology this winter, Fernandez says, she has set her future career goals. “I want to be a mental health counselor,“ she says, adding that she plans to go to graduate school for a master’s in clinical mental health counseling. 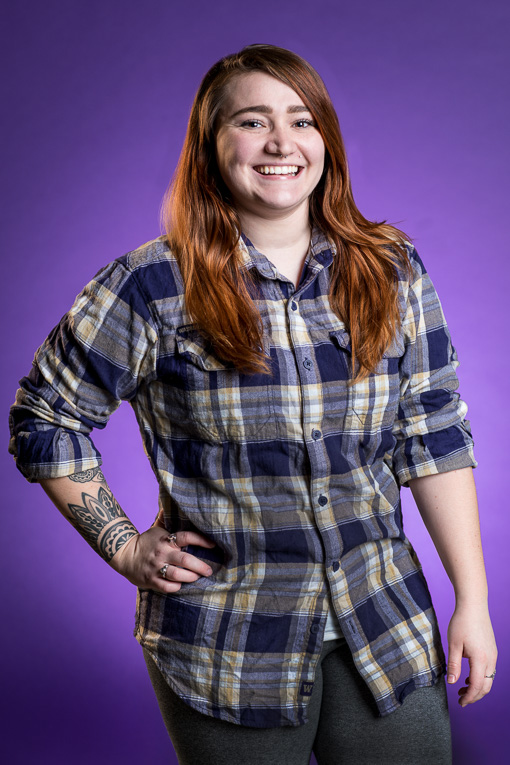 As for being named one of the University of Washington’s Husky 100 this spring, she says her fellow honorees are her kind of people.